I'll put my hopes on it being Gold Diggers of 1933, but now we're speculating about a like of a Mitzi Gaynor tweet! Come on Criterion, you've been too tight-lipped with hint dropping lately (where's a good 'ole restoration desk hint?). The issue with speculating lately - is that the old way of Criterion posting clues (except the newsletter /new years clues) are mostly all gone. Being added to Filmstruck doesn't mean much of anything anymore; the celebrity picture is usually just a closet pick (which hasn't added up to much in nearly all of them); and there's been no restoration-station or other hints for quite awhile (the # of bonus feature behind the scenes images have dropped off as well). This is probably why a greater percentage of the monthly announcements end up being surprises. Its only when somebody involved with a project accidentally spills the beans do we get any definitive clues; but if Criterion has moved to the Social Media speculation business, than all for the best - but I'd like to see some of them come true (Written on the Wind). Maybe they're going to include Gillian Armstrong's Orry-Kelly documentary with a forthcoming release? If so, it would presumably be a glitzier movie where his costumes are front and centre. I can't imagine it would be an extra on Armstrong's My Brilliant Career, which is confirmed as forthcoming, isn't it? Edit: I haven't seen the Orry-Kelly doc, but you should definitely ask David Hare about it! I read the retweet as less to do with Mitzi Gaynor and more to do with Orry-Kelly. On the heels of newsletter clue for Arsenic and Old Lace this seems like a piggy back hint to me. More Chungking Express teasing and on Kar-Wai's bday no less. Hopefully if Criterion releases some Gold Diggers it'll be either a box of the series of films or part of a bigger Busby Berkeley box. Yesterday in Los Angeles with Euzhan Palcy! A Dry White Season from MGM, perhaps? 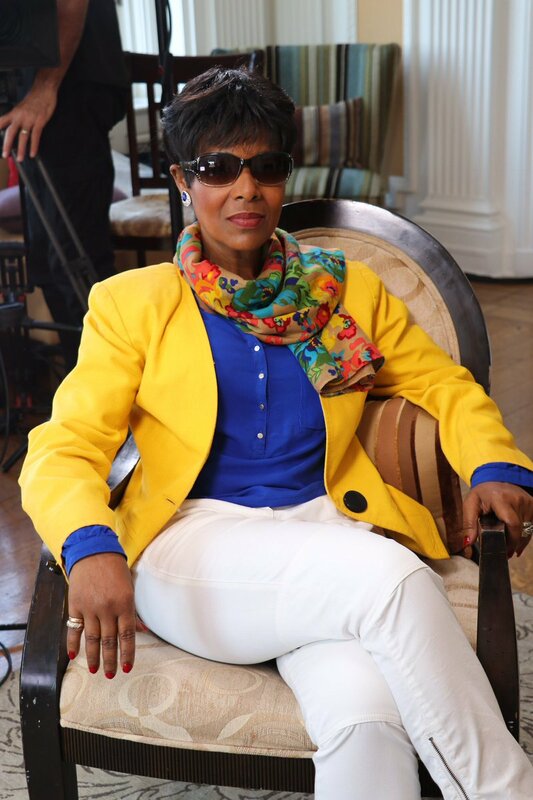 I don't know who Euzhan Palcy is but a google search tells me she's 60. Not to hold up this thread but christ she looks incredible. I can't possibly imagine why there aren't more women filmmakers or more female posters on this site. Janus posted this, likely indicating that The Last Movie is coming. It just got a 4k restoration, I didn't realize it was with Janus though. I believe it's Arbelos (or Cinelicious, same thing) that will be handling its stateside Blu-ray release. It's Arbelos. They did a 4K remaster although a Blu-Ray is not listed for release unlike Satantango. My mistake! I confused Ray and Fuller.